Retainers are a huge help for patients who need to align their teeth and create a perfect smile. They are considered by most dentists in Los Algodones as the most successful procedure to straighten the teeth. 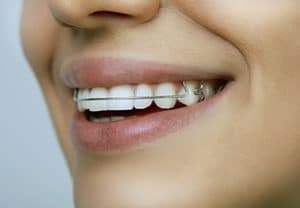 So let’s take a closer look at some of the reasons and advantages that comes thanks to wearing braces over time. Just to mention some benefits patients get from wearing retainers, they include correcting speech problems, biting, among others. One thing I strongly suggest is follow your dentist guidelines during the entire treatment to get the best results possible. This is important because skipping parts of the treatment can ruin your smile. Why you should use a Retainer? As we mentioned above, retainers are used as treatment to straight the patient’s teeth. To be m ore specific, they are used at the last phase of most orthodontics treatments. Once the braces come off, the teeth can shift back to their previous crooked position. This is where retainers come in the picture. Many dentists suggest their patients to use their retainers when going to sleep at night to help maintain the position of the straightened teeth. In some cases they instruct them to use them for more longer time. The time depends on the patient’s needs. After getting your teeth straightened they will be easier to clean. This helps to cut down the plaque and tartar buildup to reduce the chance of dental cavities. Also they correct the patient’s bite, allowing you to chew their food more efficiently. By having a better denture, the saliva production also increases. This will help the body to produce more digestive enzymes that also cut down the plaque. You can decrease the chances of suffering many other dental diseases! A huge benefits overlooked by some patients is that retainers can help improve their breathing. It is said by dentists that straightening the teeth align the jaw and this helps getting rid of snoring at night. It is a good idea to consult with your dentist if you have some kind of trouble breathing or snoring so he or she can help you solve it with a special retainer. Other scientific studies points that using retainers can help patients solve their speech problems. This is due to the fact that they help to adjust the tongue placement so you can pronounce words correctly when th ey speak. Recommended for kids as they are constantly developing their vocabulary and are developing their teeth. One good trick to get your kids motivated to use their retainers, especially when they have to use it while they sleep, is to give them little rewards or treats. Kinda like the tooth fairy. You can put some money or any other prize that they will like, like cooking their favorite breakfast for a full night of wearing their retainer.